Just FACS presents Summer Camp 2012! 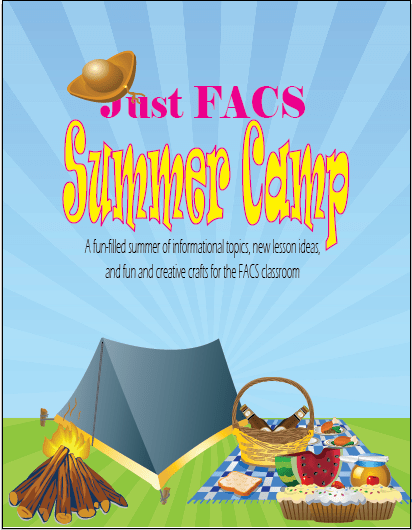 Now that most, if not all, of you have gotten out for summer vacation and of course have spent your week or more of not doing anything school related, I only felt time to inform you of Just FACS’ newest event: Summer Camp 2012. This summer camp will take place over the next 8 weeks with a different topic covered each week along with new lesson ideas and fun crafty projects that can be incorporated in the FACS classroom. Afterall, summer camp is supposed to be fun right? I hope that everyone will visit every week to see what’s new and what’s going on. Check back for more details and the Week 1 kick-off!